You are currently browsing the monthly archive for September 2016. Four experts at the Technion devise a step toward production of a quantum computer, in research recently published in the prestigious journal, Science. Their recent article, entitled, “Deterministic Generation of a Cluster State of Entangled Photons,” already praised by fellow physicists, represents a scientific breakthrough in quantum theory. 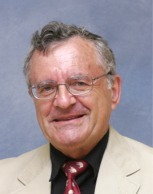 The innovation was developed in the laboratory of Prof. David Gershoni of the Technion’s Faculty of Physics, in cooperation with doctoral students Ido Schwartz and Dan Cogan, and Prof. Nathaniel Lindner and has the potential to influence the future of communications, encryption and computerization. Gershoni and his colleagues have tackled a major problem in attempts to develop quantum computers, coming closer to resolving the issue of how to create qubit units in an initiated and controlled manner to enable construction of such a computer. Physicists and technology firms have pursued the idea of producing a quantum computer for about three decades, in hopes of transporting the world of information and computers to entirely different worlds. The idea goes back to physicist Richard Feynman who proposed the idea of quantum computerization in the 1980s. In effect such a machine would process data but in contrast to a classical computer, it would utilize the characteristics of quantum mechanics. 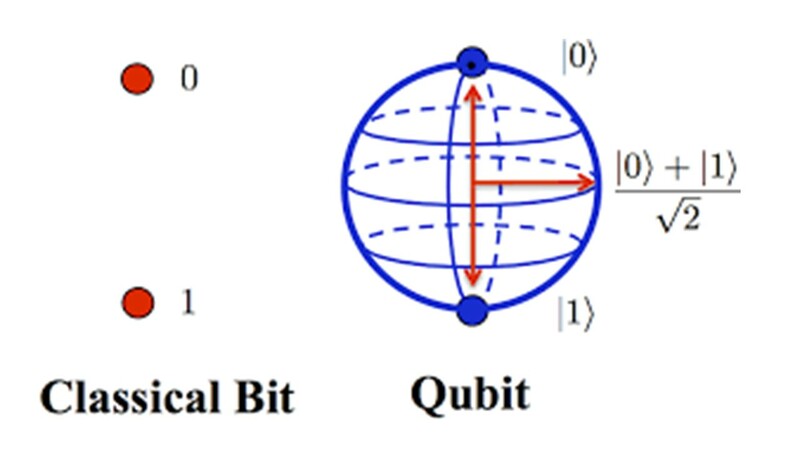 The difference is that whereas in the classical computer the basic unit of information is a bit, (zero or one); a quantum computer uses a quantum bit known as a “qubit.” The difference between the two units is enormous. (See Diagram above). A quantum computer can more quickly calculate what could take the fastest conventional computers millions of years, if not more, to resolve. It can potentially contribute greatly to the fields of medical research, advanced artificial intelligence, securing information and developing codes, “and in effect any field where calculating power is of significance,” Gershoni said. Most of us are blithely unaware of how much we owe to a law – Moore’s Law, named after Intel co-founder Gordon Moore, which says in simple language that every 12 months or so, the number of transistors in a given area doubles. In a 1965 paper, Moore used 4 or 5 data points to show that this had happened up to 1965, and he said it would continue for the foreseeable future. And it did..and how! We now carry more computer power in a chip barely 3 sq. mm. than the 1976 room-size supercomputer designed and built by a genius, Seymour Cray. But what if Moore’s Law is about to be repealed? What if the future ends? As Francis Fukuyama wrote, in 1992, we are at “the end of history”; are we at the end of the history of silicon? Yesterday I heard a brilliant lecture on this subject by Prof. Mark Horowitz, on Innovation in a Post-Moore’s Law World. Horowitz is a former Chair of Electrical Engineering at Stanford and is visiting my university, Technion. He delivered the annual Hershel Rich Lecture. * As we move down from IBM’s path-breaking one micron chip in 1974, to today’s 20 nanometer chips, 50 times smaller, we have reached the limit of Moore’s Law, mainly because the heat generated by these tiny powerful microprocessors is very hard to dissipate. Cooling limits further transistor doublings. Mathematically: “computing power” = energy per operation x operations per second. If we want to boost ‘operations per second’, we need to lower ‘energy per operation’..and we’re reaching the limit on that one. * Result? “In future, success will no longer be about technology development. It will be about finding the right applications of the existing technology”. In other words: We have loads of computing power. Now we need to find ways to adapt it to create value. The so-called Internet of Things is misleading. There is no “internet of things”. It is in fact a broad collection of devices, and each device needs its own application, its own software, its own microprocessors, to enhance its value. Horowitz noted that ITRS (International Technology Roadmap for Semiconductors) has for years done roadmap predictions of future technology, based on Moore’s Law. They have now stopped. No more roadmaps. The end of history. What does this mean for entrepreneurs and innovators? In future, there will be a huge premium for IT engineers who understand the technology, but who also have deep sensitive knowledge of business, customers, preferences and markets. Only this will enable us to have life after silicon. I think every engineering school should have a required course on Startup Entrepreneurship. Silicon will no longer be a rapid-growth industry, it will become like steel and plastics, notes Prof. Horowitz — big, but stable. Sure, there may be a huge technological breakthrough. But Horowitz notes, it is unlikely, because developing it will take enormous resources, more than governments can afford, and more than private investors are willing to risk. Prof. Horowitz has a powerful metaphor. In future, he noted, successful products will include many “cup-holders”. A cup-holder is a place to put your coffee or soda, in a minivan or car. German carmakers started the idea. Today some vans have 16 or 17 such cup-holders. They are low-cost, and are highly appreciated, because they show the car-maker is aware of, concerned about, the lifestyle of drivers. Innovator: Can you use existing computer power, to create small low-cost add-ons (incremental innovation) that create great value? Apparently, this will be our innovation lives – after Moore’s Law expires. 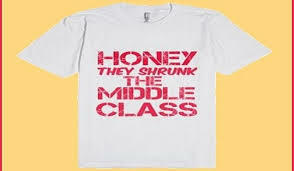 We are hearing endlessly about the struggling blue collar workers and the oppressed middle class, sinking into debt, losing jobs, struggling to stay afloat. We hear Donald Trump play on their fears and grudges. There is another narrative, one given in today’s New York Times by David Brooks. It is about resilient workers and middle class people, who adapt, shift jobs, lose one and gain another, learn new skills – and stay afloat, endure and even prevail. And there are lot of them. A few weeks ago I met a guy in Kentucky who’d lived through every trend of deindustrializing America. He grew up about 65 years ago on a tobacco and cattle farm, but he always liked engines, so even while in high school he worked 40 hours a week in a garage. Then he went to work in a series of factories — making airplane parts, car seats, sheet metal and casings for those big air-conditioning fans you see on the top of buildings. Every few years as the economy would shift, or jobs would go to Mexico, he’d get hit with a layoff. But the periods of unemployment were never longer than six months and he pieced together a career. So, how did he piece together a career? His best job came in the middle of his career, when he was a supervisor at the sheet metal plant. But when the technology changed, he was no longer qualified to supervise the new workers, so they let him go. He thought he’d just come in quietly on his final day, clean out his desk and sneak away. But word got out, and when he emerged from his office, box in hand, there was a double line of guys stretching all the way from his office in back, across the factory floor and out to his car in the lot. He walked down that whole double line with tears flowing, with the guys clapping and cheering as he went. We hear a lot about angry white men, but there is an honorable dignity to this guy. Some of that dignity comes from the fact that he knows how to fix things. One of the undermining conditions of the modern factory is that the workers no longer directly build the products, they just service the machines and software that do. The bakers now no longer actually know how to bake bread.” But this guy in Kentucky can take care of himself — redo the plumbing at home or replace the brake pads. And what was his ‘narrative’, his story, told to himself? One of betrayal, exploitation, deprival, social inequality? None of that. It’s more of a reactive, coping narrative: A lot of the big forces were outside my control, but I adjusted, made the best of what was possible within my constraints and lived up to my responsibilities. …. People are basically resilient. They bounce back. And the ones with integrity do not cast ballots for those who cynically exploit the worst qualities among us – avoiding personal responsibility for our own fate. 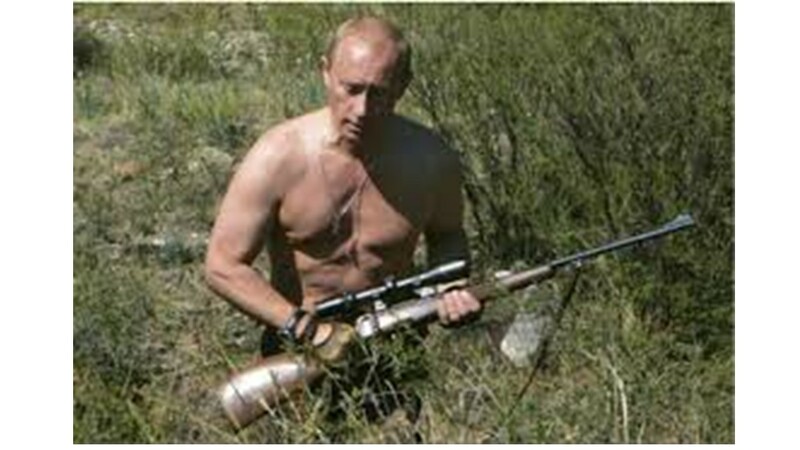 Putin: Great Leader? Or Huge Failure? U.S. Presidential candidate Donald Trump has expressed admiration for the Russian President Vladimir Putin, comparing him favorably with Barak Obama and calling him a great leader. In today’s New York Times, Paul Krugman adds up Putin’s achievements since he came to power in Russia in 1999. He has destroyed Russian democracy, creating a handful of billionaire oligarchs who support him while destroying others who did not. He has utterly failed to diversify Russia’s economy out of oil and gas, even though the old Soviet Union left behind superbly educated people, including many thousands of engineers and scientists who emigrated to Israel beginning in 1990, and who fueled Israel’s high-tech boom. (Many, of course, did not emigrate, but their skills were not made use of – except for Putin’s global hacking operations). According to New York Times columnist Paul Krugman, writing in today’s Opinion section, Putin has shaped a massive Russian military — which he used for grabbing part of the Ukraine and the Crimea. Crimea, once a tourist haven, has lost most of its tourist business, so it has become a drag on Russia’s economy. Why then is he so popular? Putin’s aggressive nationalism appeals to Russians, who seem to recall Stalin fondly and who are not at all fond of democracy, which brought them raging inflation and little else. One can perhaps understand, partly, Putin’s popularity in Russia. But his popularity among Trump supporters? Daniel Kahneman, a psychologist, won the Nobel Prize for Economics in 2002, for his pioneering contribution to how people make decisions under uncertainty. 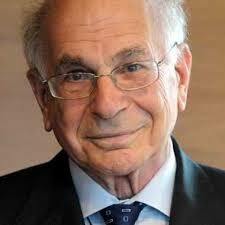 Daniel Kahneman: There are some conditions where you have to trust your intuition. When you are under time pressure for a decision, you need to follow intuition. My general view, though, would be that you should not take your intuitions at face value. Overconfidence is a powerful source of illusions, primarily determined by the quality and coherence of the story that you can construct, not by its validity. If people can construct a simple and coherent story, they will feel confident regardless of how well grounded it is in reality. McKinsey Quarterly: Is intuition more reliable under certain conditions? Gary Klein: We identified two. First, there needs to be a certain structure to a situation, a certain predictability that allows you to have a basis for the intuition. If a situation is very, very turbulent, we say it has low validity, and there’s no basis for intuition. For example, you shouldn’t trust the judgments of stock brokers picking indivi dual stocks. The second factor is whether decision makers have a chance to get feedback on their judgments, so that they can strengthen them and gain expertise. If those criteria aren’t met, then intuitions aren’t going to be trustworthy. Daniel Kahneman: This is an area of difference between Gary and me. I would be wary of experts’ intuition, except when they deal with something that they have dealt with a lot in the past. Surgeons, for example, do many operations of a given kind, and they learn what problems they’re going to encounter. But when problems are unique, or fairly unique, then I would be less trusting of intuition than Gary is. One of the problems with expertise is that people have it in some domains and not in others. So experts don’t know exactly where the boundaries of their expertise are. McKinsey Quarterly: Yet senior executives want to make good decisions. Do you have any final words of wisdom for them in that quest? Daniel Kahneman: My single piece of advice would be to improve the quality of meetings—that seems pretty strategic to improving the quality of decision making. People spend a lot of time in meetings. You want meetings to be short. People should have a lot of information, and you want to decorrelate errors. Gary Klein: What concerns me is the tendency to marginalize people who disagree with you at meetings. There’s too much intolerance for challenge. As a leader, you can say the right things—for instance, everybody should share their opinions. But people are too smart to do that, because it’s risky. So when people raise an idea that doesn’t make sense to you as a leader, rather than ask what’s wrong with them, you should be curious about why they’re taking the position. Curiosity is a counterforce for contempt when people are making unpopular statements.